Princess' Paper Projects: Little Red Wagon Challenge #416 ~ Shape Up! Little Red Wagon Challenge #416 ~ Shape Up! Hey there and welcome to a new challenge at Little Red Wagon. Our hostess is Brenda and she wants us to SHAPE UP~ now I am thinking it is not in the form of exercise and sweat but in the form of shaped projects. Anything but a rectangle or square. 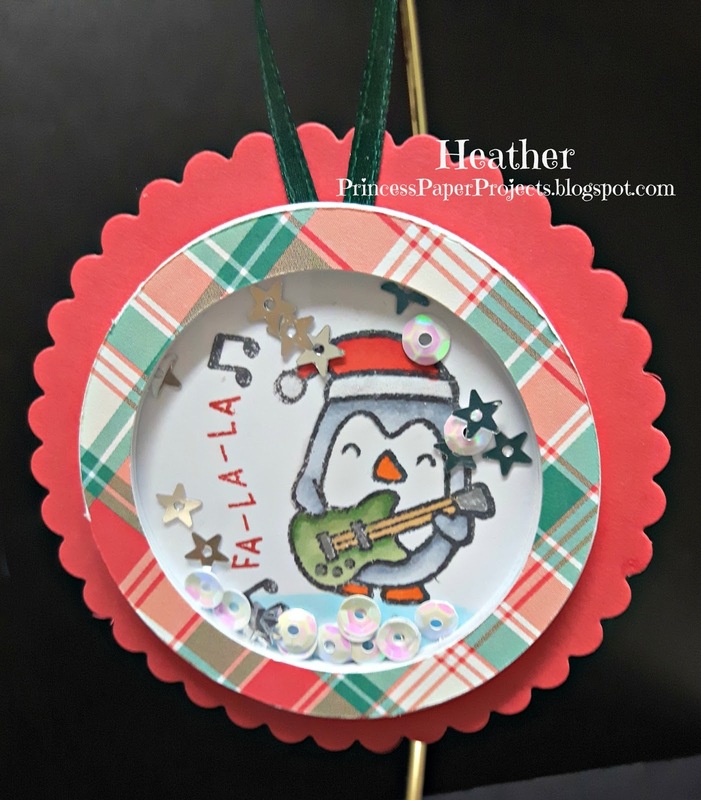 Truthfully I am not a huge fan of shaped cards or even of how to make them so I went with another shape that is pretty common and made a circular shaker tag for a Christmas gift. Stamp set is Lawn Fawn Here We Go A-Waddlin' and paper is Lawn Fawn Perfect Plaid Christmas. Well that's it for today. Short and sweet, but you head over to Little Red Wagon, check out the inspiration from the other girlfriends and link up a shaped project of your own. Thanks for dropping in. I hope to be back later this week with another card to share. Until then, have a great day!! This is such a cute tag!! That penguin is so cute. 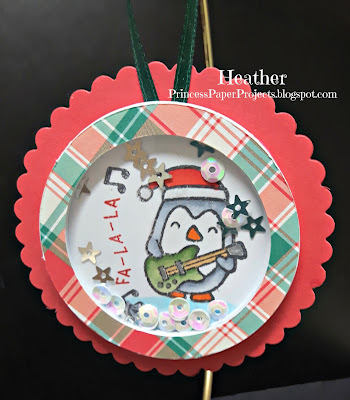 How fun to make a shaker tag too! Aw, adorable! I love that sweet penguin and that plaid paper! This is darling and I love that it's a shaker!